This is a BlockBuster Video Clear Body. Quiet on Set! 3-2-1… ACTION! 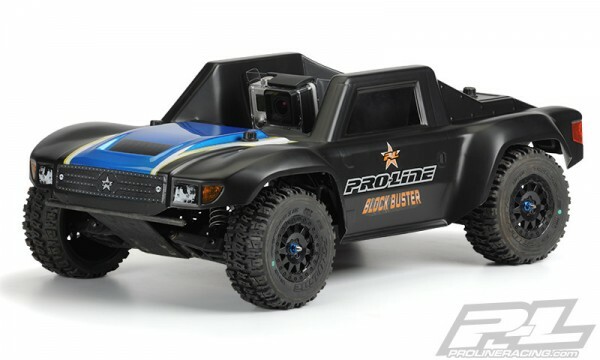 Pro-Line is proud to introduce the first Short Course Body specifically designed for creating movies and inboard off-road footage by mounting your favorite GoPro® camera inside: the BlockBuster! 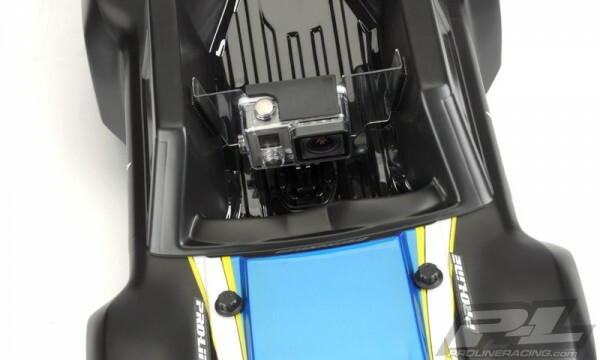 Complete with a dash for realistic FPV (First-Person View)camera shots, the BlockBuster is perfect for creating your own action packed sequences with your Short Course truck. 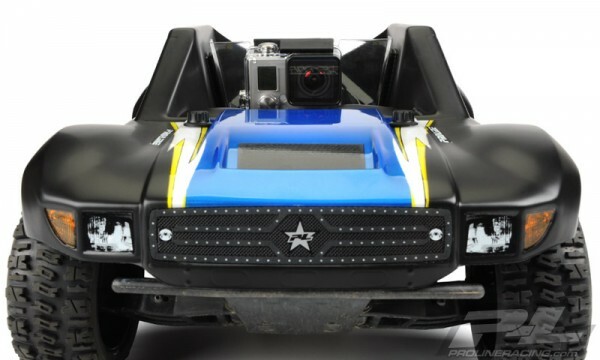 The BlockBuster body is made out of extra thick Genuine GE Lexan® with molded-in strengthening ribs to provide a stable camera mount for non-shaky RC footage. 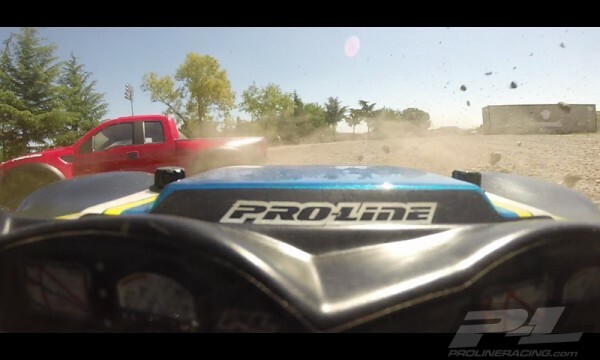 The sides of the BlockBuster extend past the top of the camera for protection against roll-overs. 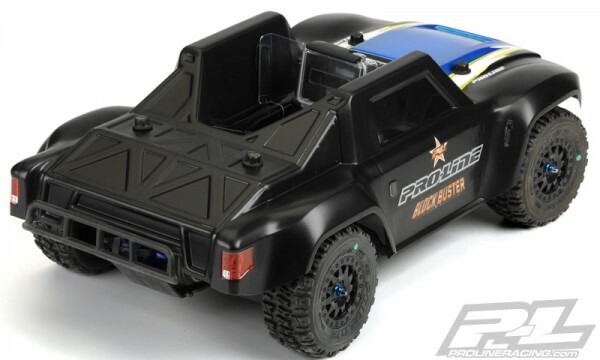 The outside of the BlockBuster looks tough and ready to tackle any video-worthy terrain with the Desert Militia style appearance. 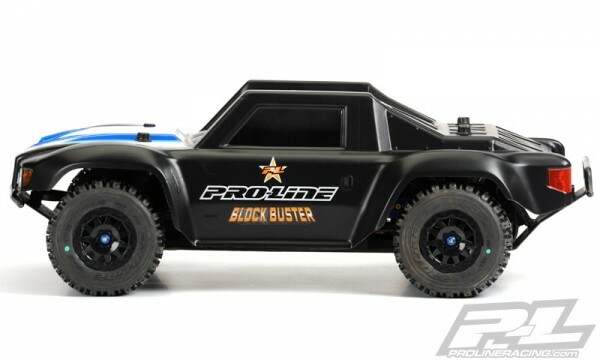 Become a World-Class Director of your very own Action-Packed Movie with Pro-Line’s BlockBuster Video Body!